When Harmonix released Don McLean’s American Pie as the final piece of DLC for Rock Band in April 2013, it marked the end of an era. Not only did it end five years of weekly song releases for the plastic guitar slingin’ series, it seemed to comprise the final statement for the music genre itself, which had milked itself into redundancy. Music games may have been one of gaming’s great success stories of the late Noughties, but it eventually became a poster child for the ephemeral nature of popularity and how exploiting a trend too aggressively can destroy it. The songs will be compatible with Rock Band 3 and Rock Band Blitz and be available on Xbox Live Arcade and Playstation Network for $1.99/99p/€1.49. The music game genre has been showing signs of recovery for a while now. Ubisoft’s Rocksmith series has succeeded in converting many fans to real instruments, proving the genre’s continuing relevance. Harmonix’s other core franchise Dance Central has performed solidly and Singstar‘s release on PS4 has garnered a lot of interest from longtime casual gamers with fond memories of the early games in the series. 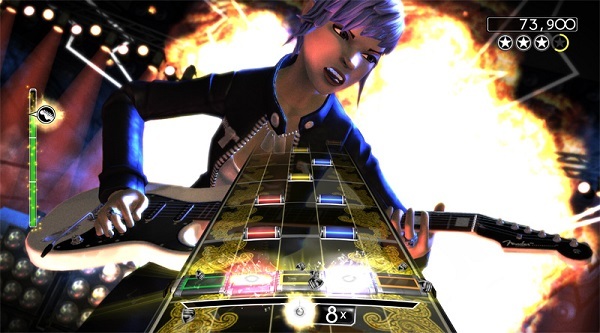 Harmonix CEO Alex Rigopulos hinted at last year’s PAX East that the company had “grand plans” for Rock Band and Dance Central, this unexpected DLC release looking like the first movement towards getting back in the Rock Band business. If this starts pointing to a revival of the franchise on the new consoles, you just know that Activision will follow suit with Guitar Hero. Long the punchline of an industry joke, we may be looking at those notorious plastic instruments having a revival. It’s going to be interesting to see how this pans out. 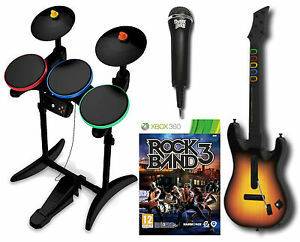 Personally, I don’t think I can go back to fake instruments when I get so much more out of playing the real thing using Rocksmith, but there’s a huge casual crowd out there with fond memories of Rock Band/Guitar Hero who may well be tempted to pick up a new-gen console for the chance to play these games again. Whether the demand for peripherals is still there, however, is an entirely different question.